At risk of repeating myself please see attached the poster for my next exhibition from Sept 22- 29th at Red Gate Gallery 209a Coldharbour Lane, London. SW9 8RU. 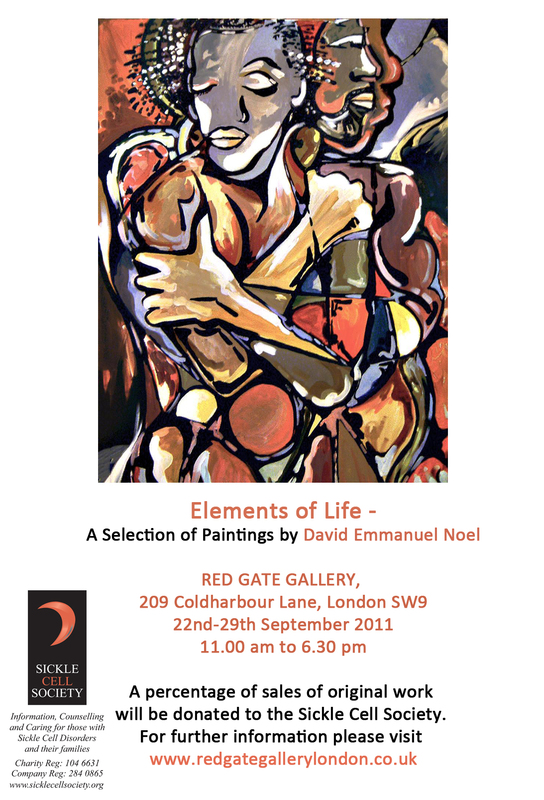 A percentage of sales from original work will be donated to the Sickle Cell Society, a registered charity concerned with the lack of understanding and the inadequate treatment for sufferers of sickle cell disorders. Your support for the show is appreciated so if you are in London please attend and donate! Wishing you and your loved ones a happy, peaceful and memorable weekend!